James Broderick Design Blog: Off The Map VI: A sudden burst of colour! Okay, this week things are coming together. Tom and I were going back and forth readjusting some of the rooms, I've shown him how to add skirting and architrave using spline modelling and he went ahead and did that whilst I continued my asset work and a little bit of lighting. To be honest a lot of this week was fixing up problems with the level so I've been taking time out of my asset building to sort that as well, also I spent a bit of time replacing the first person player character to a third person one with first person camera so we can see the characters hands and feet, an integral part of our game design. Overall it's been a bit of a slow burn this week, but now the level is actually prepared for population. At last! Overall bird's eye view of the level currently, the lighting has been changed quite a lot this week. I have been applying things I have learnt about lighting from a personal project to this one by increasing the light bounces in the level and making the lighting more soft and realistic. 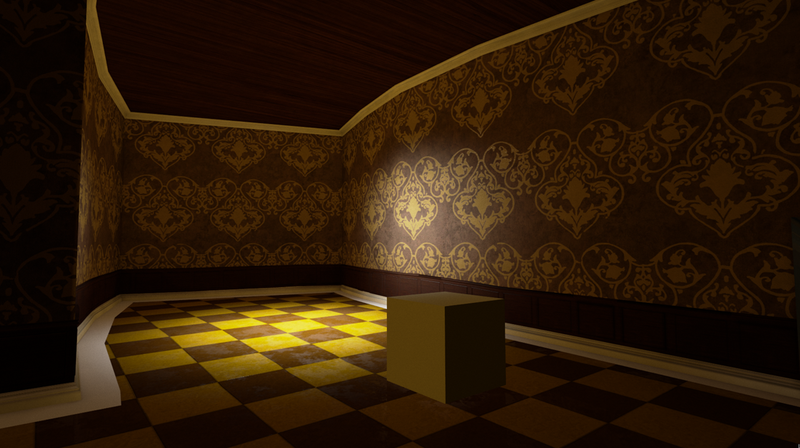 A shot of Puzzle Area 1 before population, the wall material is adapted from one I used in a personal project but I added in a whole section to the material that layers on a victorian pattern that Annie made and makes it slightly more reflective than the rest of the wall. 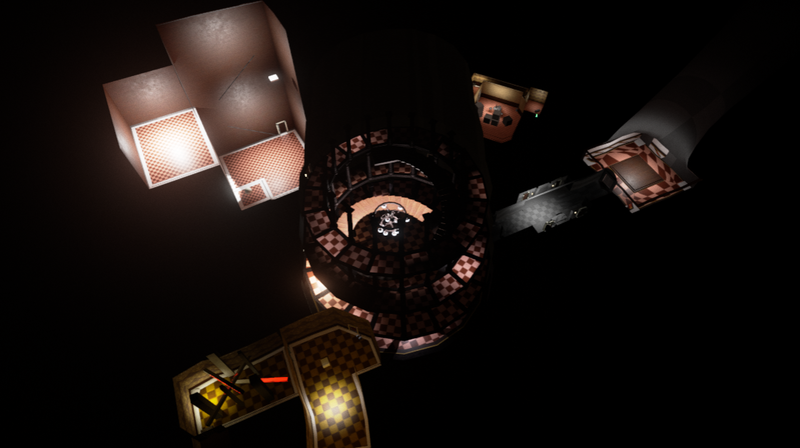 Here is where you can see the effect of the lighting properly, the light casts a realistic bounce onto the wall but stays fairly dramatic and contrasty, a feeling we want to keep throughout the level. 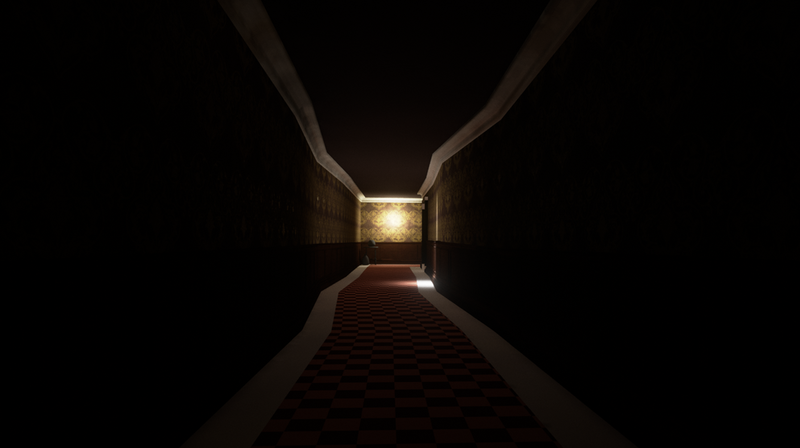 In this section of the game the player will encounter the rabbit for the second time so seeing it emerge into the light in this corridor will be a great moment visually. My main priority now is finishing my assets, so far most of my assets are in level as they are needed for the overall level shape but I still have a lot to do, so far all the columns and arches are incomplete and I also need to complete the ceiling for the lobby which is a large part of making that area looking closer to completion. Also some of my other assets need a lick of paint to raise the quality bar, all of this is my goal going into next week.